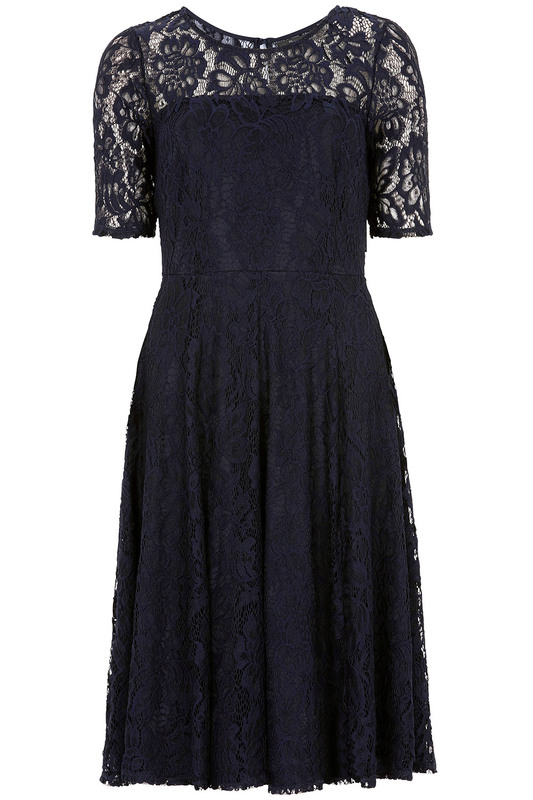 This elegant fit and flare dress is a true wardrobe staple, in a sophisticated navy colour that makes it versatile enough for all occasions. 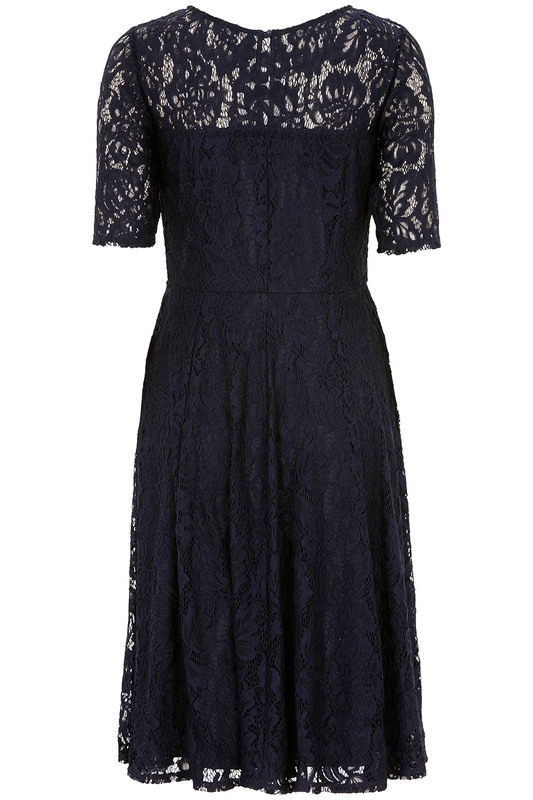 It is made from stretch lace so it feels comfortable, and is fully lined for a luxurious touch. 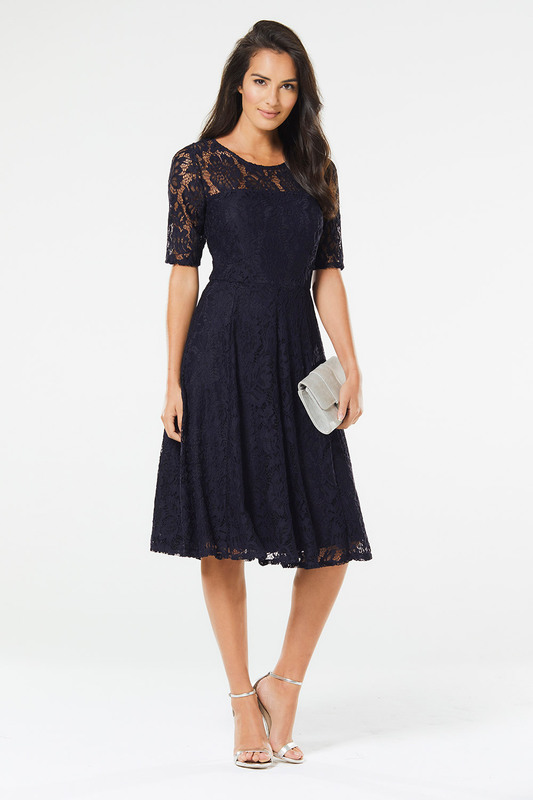 It has pretty details like a keyhole fastening with a button on the back of the round neck, and flattering half sleeves that really show off the lace.